Tapping technologies to transform our region. OSIsoft, Qualcomm, and SDG&E are working with PETCO Park to deploy Internet of Things technologies to help the San Diego Padres to monitor their facilities, improve efficiencies, and maximize the value of their current infrastructure. Utilizing Qualcomm’s edge intelligence solutions and the OSIsoft PI System’s real-time data analytics software to monitor electricity, gas, and water use, the smart cities system has the potential to increase efficiencies, reduce operational expenses by more than 25% in the next five years, and support ongoing efforts to make Petco Park a smarter, more sustainable venue. In 2017, the City of San Diego’s advanced Smart City Open Urban Platform (SCOUP) network was a winner of the California Energy Commission’s Energy Innovation Challenge. The SCOUP will automatically track, benchmark, and reduce greenhouse gas emissions and energy use associated with its municipal facilities. In addition to making advancements in technology, the City of San Diego is participating in a number of national smart cities programs. 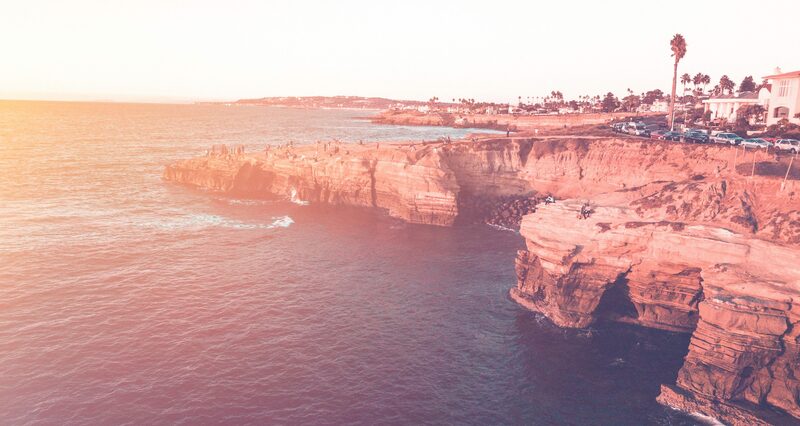 San Diego is one of 10 U.S. cities selected to join Envision America, in which cities are leveraging technology collaborators and businesses to address climate change challenges and improve city services. 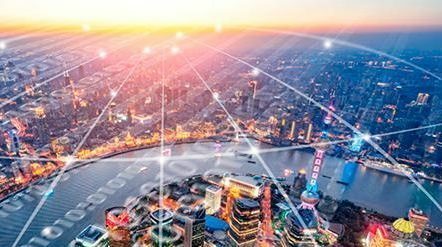 The city is partnering with UC San Diego to participate in the MetroLab Network, which brings together university researchers with city decision-makers to research, develop, and deploy technologically‐ and analytically‐based solutions to improve infrastructure, services, and other public sector priorities. The city is also a U.S. Ignite Smart Gigabit Community. The City of Chula Vista is leading the international smart city movement with state-of-the-art technology and data analytics tools that improve quality of life and contribute to economic growth. Chula Vista’s commitment to smart city innovation is reflected in its detailed strategic plan and numerous initiatives in progress. As part of its Climate Action Plan, the City of Carlsbad is committed to becoming a leader in multimodal transportation systems and creative approaches to moving people and goods through and within Carlsbad. 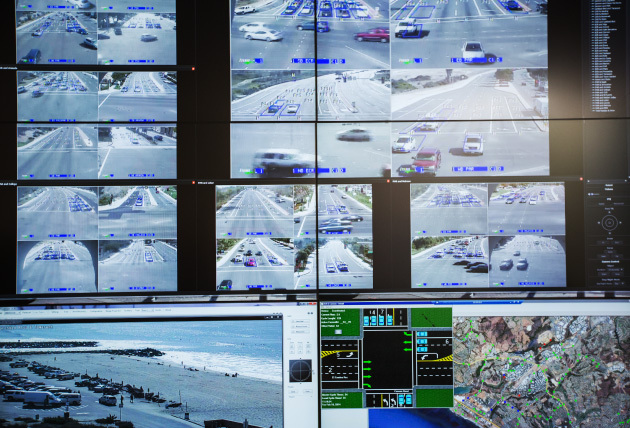 In the city’s traffic management center, technology is leveraged to improve traffic signal coordination and allow vehicles to move more efficiently throughout the city. The Port of San Diego recently installed 23 Current by GE CityIQ sensor nodes to gain a real-time view of traffic along North Harbor Drive. This and other pilot projects at the port, including a recent deployment of sensors in trash bins, are serving as a test bed for future real-time data applications on tidelands. The Port of San Diego has been demonstrating Internet of Things solutions since 2014, when it was also the first demonstration site in a series of regional public-private smart building projects using sensors to detect energy consumption and translate it into easy-to-manage, real-time data for building operators to act upon. Advanced transportation is key to the port’s smart cities goals, including installation of 16 electric vehicle chargers for port employee use and replacement of ten diesel heavy-duty fleet vehicles with all-electric forklifts and trucks, thanks to a grant from the California Energy Commission. The Energy Commission is also funding the development of a microgrid at the Port’s Tenth Avenue marine terminal. The San Diego International Airport is committed to creating a “Smart Airport” that leverages data analytics and sustainable technologies to ensure air transportation service helps promote the region’s prosperity and protects its quality of life. To facilitate this, the Airport launched a first-in-industry Innovation Lab to more effectively partner with startup companies and provide a physical space for new technologies and services to be tested in an aviation environment, while simplifying and streamlining the procurement process for emerging concepts. A microgrid (one of the first at a North American airport) connects 5.5 MW of onsite solar generation and delivers over 80% renewable electricity across the airport. A network of intelligent building systems are aggregated through a campus-wide data analytics system to maximize performance. Currently, the San Diego International Airport is partnering with Cleantech San Diego and SenseOps to pilot real-time, low-cost sensor technologies to better track over 100,000 gallons of collected A/C condensate water to reuse for vehicle and equipment washing. 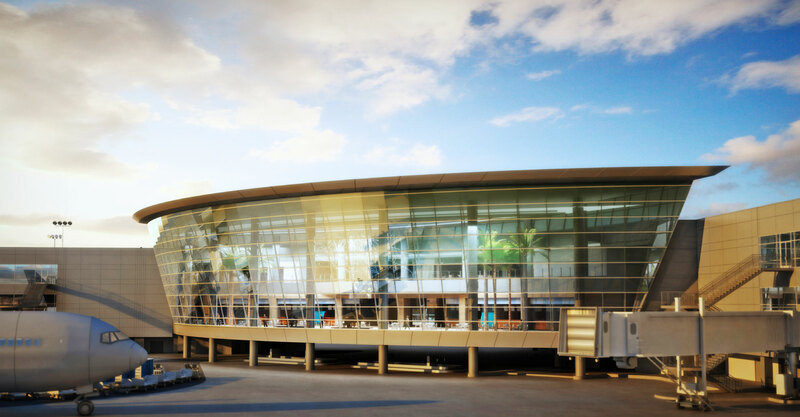 The airport is also a recognized leader in designing and constructing sustainable facilities. Every new building since 2008 has achieved at least LEED-Gold certification, with the Terminal 2 West Expansion project (known as the ‘Green Build’) being the first terminal in the world to earn LEED-Platinum and Envision-Platinum certifications. The airport’s latest project – the Terminal 2 Parking Plaza – boasts advanced parking guidance technologies, extensive electric vehicle charging infrastructure, and a storm water harvesting system. Smart Cities San Diego is facilitating the expansion of a public electric vehicle (EV) infrastructure that ensures the safe, reliable, and efficient integration of EV charging loads with the power grid across the greater San Diego region. Working with companies like NRG eVgo, ChargePoint, Black & Veatch, and SDG&E, Smart Cities San Diego supports the electric vehicle and renewable energy programs already taking place in the region and works to expand those projects. In addition, our EVer Forward campaign helps promote the fun, benefits, and ease of an EV lifestyle to San Diego drivers. The San Diego region is working with technology innovators such as GE, AT&T, Qualcomm Technologies, and others on intelligent lighting solutions. With involvement from Cleantech San Diego, the City of San Diego installed 3,000 LED street lights with adaptive controls downtown – one of the first deployments of this technology in the country. Following the success of that pilot, the city is now on track to deploy the world’s largest city-based Internet of Things platform using smart streetlights. The project includes replacing 14,000 more streetlights with energy efficient versions, which will reduce energy costs by $2.4 million annually. Streetlight retrofit projects across the County of San Diego total: 75,000 street lights retrofitted, 30 million kWh in annual energy savings, 12,700 metric tons of carbon dioxide eliminated, $30 million in economic development, and $4 million in annual taxpayer savings. San Diego has one of the nation’s highest levels of electric vehicle drivers per capita. Results from a strategically placed infrastructure pilot project show the region’s interest in the technology. Five solar-to-electric vehicle (EV) charging stations located at the iconic San Diego Zoo in the heart of the city’s world-renowned Balboa Park have been increasingly used month over month. The Solar-to-EV project launched by Smart Cities San Diego in September 2012 and managed by SDG&E is one of the first of its kind in the world. The charging stations use energy from the sun to directly charge plug-in EVs, store solar power for future use, and provide renewable energy to the surrounding community. Smart Cities San Diego supported H.G. Fenton Company and its launch of the Solterra EcoLuxury Apartments in Scripps Ranch. This smart living community is designed with photovoltaic solar installations providing 100 percent electricity needs for all 114 units and common areas, garages that are pre-wired for electric vehicle charging, in-home virtual net metering displays provided by SDG&E allowing residents to monitor energy usage, and smart thermostats that can be programmed from anywhere or anytime by computer or smart mobile device. Solterra is the first all-solar apartment complex in San Diego and one of the first market-rate multifamily complexes in the nation to offer “net zero” living to its residents.